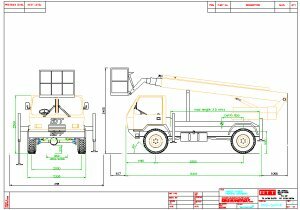 The chassis is of extremely robust construction to give long life and trouble free service in all types of ground and working conditions. 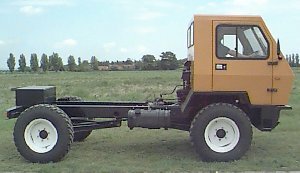 Robust axles are fitted with a heavy duty coil spring suspension system which keeps all four wheels firmly on the ground giving it a rough terrain capability very few comparable machines can match. Gradability is 1 in 2.4 and better depending on load configuration. So whether the work site is a ploughed field, roadway, mountainside, building site or chemical plant the Pioneer will cope without fuss. On top of that the maximum road speed of 104kph (64mph) will get you home quickly and in comfort. The Pioneer under test in a quarry whilst carrying a 1.5t payload. 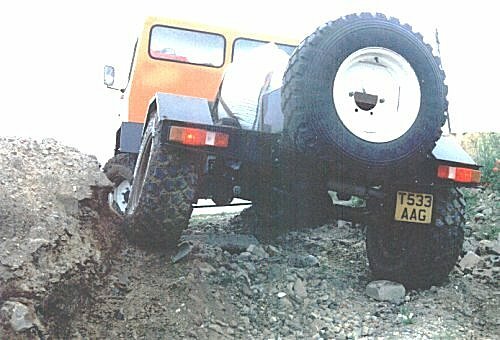 Traction and climbing ability in such adverse conditions is maintained due to the suspension systems ability to keep all four wheels firmly on the ground. The Pioneer has a multitude of uses within the construction, civil engineering, industrial, forrestry, public utility and agricultural industries. The 3 tonne carrying capacity allow it to be fitted with a wide range of equipment from aerial work platforms to gritting bodies, snow ploughs, load platforms and crop sprayers to name but a few. Forward control and of steel, all-welded construction. Fully fitted and hydraulic tilting for access to engine for major services. Main gearbox 5 speed helical constant mesh with syncromesh on all forward gears. 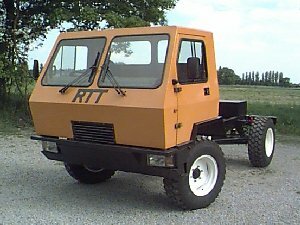 Transfer box with high and low ratios and permanent four wheel drive in all gears. Centre lockable differential for off road use. 335/80 R20 On/off road with self-cleaning tread and high resistance to uneven wear. Rigid ladder type construction fabricated from high yield steel channel sections and tubular cross members. Choice of hydraulic or mechanical systems depending on application.